Advertising in TheBAY is targeted and cost effective. Our readership demographic is ABC1 and with an average of 50,000 readers every month a quarter page advert at just £95 + vat is hard to beat. Our professional in-house design team is experienced in producing the right image for your product or service. 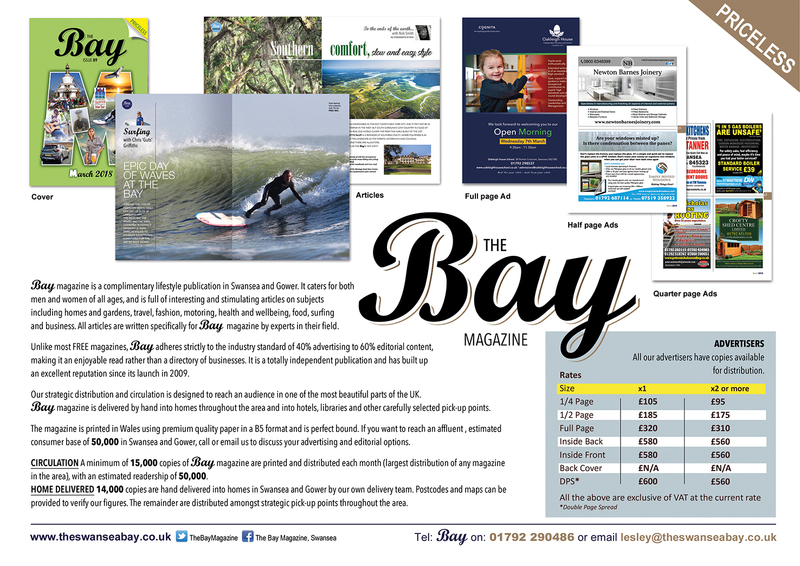 We can design a one-off advert for use in TheBAY or produce a complete corporate image tailored to your business.